Growing up, James Gutiérrez could not ignore his natural tendency to see solutions everywhere. He felt drawn to the creative, yet tumultuous, path of entrepreneurship instead of the more stable profession of a doctor or a lawyer that his family may have preferred. Yet, the social changemaker’s thirteen-year journey as an entrepreneur proves his risks can yield big rewards for the world around him. Today, Gutiérrez is revolutionizing financial services at his latest venture, Insikt, elevating brand-powered lending in a new chapter of the American banking system. Gutiérrez pinpoints a disturbing trend indicated in the 2017 State of Latino Entrepreneurship Research Report. According to the survey of US Latino business owners conducted by the Stanford Latino Entrepreneurship Initiative, national banks and government agencies provide fewer loans to Latino-owned businesses than any other demographic group, resulting in an $1.47 trillion opportunity gap in the Latino GDP. He studied that problem of underbanked communities at Stanford University, where he earned an MBA after completing a bachelor’s degree in economics at Yale University. Through his university networks, he found early investors—such as JetBlue chairman Joel Peterson, TA Associates adviser Jeff Chambers, and billionaire hedge fund manager Tom Steyer—to accelerate his ideas for solutions. In 2005, Gutiérrez launched Oportun (formerly Progreso Financiero), which has since provided $1.5 billion in loans to more than half a million borrowers as the top provider of responsible, unsecured loans to Hispanics in the United States. In 2012, he founded Insikt, where he now leads the white label loan organization and investing platform to serve low-income communities. Today, Insikt technology empowers customers’ financial health in more than seven hundred store locations across California, Texas, Illinois, and Arizona with plans to expand nationwide. His pursuit of economic justice has already catapulted him onto the national stage. Gutiérrez served on US Federal Reserve Board’s Consumer Advisory Council and co-authored two federal and state laws to expand safe and affordable small dollar loans. 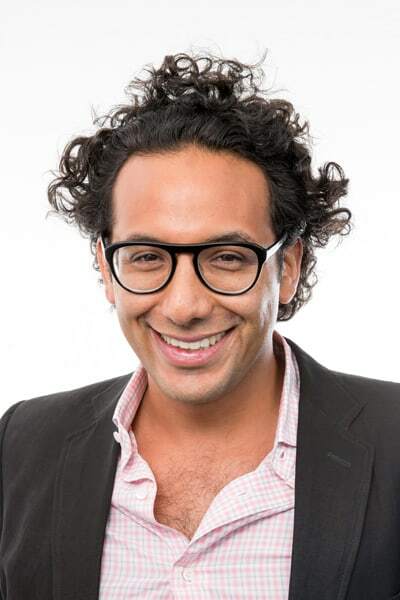 BusinessWeek has named Gutiérrez on its list of America’s most promising social entrepreneurs and Goldman Sachs heralded him as one of America’s top 100 most intriguing entrepreneurs. In an interview with The Alumni Society, Gutiérrez unveils how his ethics are guiding the evolution of the US financial system, why Latinos may need to be bolder in business, and how learning from failure fuels the resilience necessary for repeat success. Which inherent or learned characteristics differentiate an entrepreneur from other executives? An entrepreneur has the vision to set a new course and the courage to do it. Being an entrepreneur is about action and taking that leap of faith—it’s a lot of small steps to make the vision a reality. Entrepreneurs persevere again and again to stick with the creative vision, different solution, or new idea that they see in their mind. Your first idea, your first iteration, your first product launch never goes the way you think it will, but if you’re willing to keep pushing that big rock up the hill, you’ll not only be successful but also have the staying power. What is the biggest challenge facing Latino entrepreneurs? Whenever we go make a presentation to raise capital, there’s usually no Latinos sitting on the other side of the table. That’s a problem. I can count on one hand the number of Latinos I’ve seen in a position to allocate capital making decisions at the venture capital funds and private venture funds. We also don’t have the preexisting, established network. So, you have to be more resourceful and resilient in building those networks and paths to raising capital. A lot of Latinos, or anyone who survives poverty or is the first generation to go to college, has the perseverance needed to be a successful entrepreneur. We have grit; we have ganas. Yet as a community, we need to think bigger. We tend to think of opportunities as two steps ahead of us, but what about a million steps? It’s critical we think more about those billion-dollar ideas and band together. Speaking of pursuing big ideas, what is the motivation behind your work now at Insikt? Building credit in this country is a catch-22. To get a loan or mortgage, you need credit, so we’ve got to solve the problem of helping people build credit scores without a credit score. We’re working on the pain point that there’s no good option between a credit card and a predatory payday loan. If someone doesn’t have a credit score, our whole banking system looks at them like they don’t have any value. In the past, I’ve seen customers arrive with their hands still dirty from working in construction or in the fields that day, often two or three jobs at a time. They were earnest, hardworking people—everything we want in America and for the American Dream. It was frustrating to see that the existing institutions weren’t serving their needs. We took a bet on these people, we gave them a loan, and we saw them coming back to make payments on time. One guy who worked at a bakery gave us bread as a thank you for believing in him. I’ve really seen the strong moral character of this community, and I want to fight for them. In the future, we want to solve other pain points of financial health and help people get to the goals they have set for themselves. We’re looking at how we can underwrite and structure them for success so they can improve their rating. We want to take that approach to other financial products that will help people put money aside in 529 accounts, retirement, and savings. Which experiences in your career have made you a stronger leader? My first company was a failure. It shattered my ego and the trajectory that I thought I was on. Overcoming setbacks is really hard and lonely, but I learned that life has so many chapters. Just because one door slams in your face, there will be others, so you need to get back up—otherwise you’re not going to accomplish anything. I have two daughters, and I always say, “Mis hijas, what do you do when you fall down?” And they respond, “We get back up again.” To me, that’s the most important advice. What advice have you received that you followed or purposefully ignored? Someone told me this a long time ago: be who you are and play to your strengths. That’s stuck with me. Understand yourself so you can amplify your strengths and don’t spend all your time trying to overcome a weakness when you can find people to help fill those gaps. As far as what I’ve ignored, at one point, after my first company failed, someone told me to get “a real job.” But I’m proud that I stuck to who I am—an entrepreneur. So instead, I just started working on my next idea. I knew I wanted to disrupt existing systems and create better ones. At the start of your career, what do you wish you had known about entrepreneurship?